As Juba City council is undertaking some good programs to help young men get their rights especially, employment opportunities. The policies grant South Sudanese nationals 80 percent jobs in Hotels. This is long overdue and young people have been talking about it for long now. Hotels owners/managers have ignored and neglected South Sudanese young people in terms of employment opportunities. Young people have been complaining about this, since 2012 but nobody heeded to their needs. It is good that the new administration of the council came up with these policies and regulations that will benefit our people. Because there is nowhere in the world, in which foreign investors cannot provide jobs to the local people. Foreign investors are supposed to be regulated and guided by the foreign investment act so as to avoid some major shortcoming in business. The deputy Mayor for infrastructures and development Thiik Thiik Mayardit is to be applauded for his courage by effecting the policy and regulations aimed at apportioning a huge percent of Hotels jobs to the youth young . I know our top brass have a long tradition of interfering with any idea that conflict with their interests, because most of the Hotels are owned by South Sudanese and are being managed by foreigners. So there is a high chance the hotels’ owners may come in and influence the decision. But Thiik is so courageous enough to stand by his decision; he usually speaks his minds independently. So what is required from us now is to support him so that the leadership of the Juba City Council continues with their normal procedures to implement 80 percent available jobs for South Sudanese in each Hotel. Some officials tried the same sometimes back but they fell short and backed down on their decisions because of some difficulties. among these officials include, the former National Minister of Labour and Human Resource Development Ngor Kulang who issued an order in 2014, asking foreigners serving in various ministries to vacate positions for South Sudanese nationals. This order almost caused strain with some countries until it was cancelled. The former minister of Interior Aleu Ayieny Aleu also in 2014 banned foreigners from riding Boda Boda or Motor Bikes meant for business. Ayieny managed to implement almost 70 percent of the order before being relieved. Relief and Rehabilitation Commission tried it with international NGOs but NGOs made a lot of noise and put too much pressure on the government to change that policy restricting them. They were allowed to recruit staff based on their policies and registrations fees were also reduced as well. Bravo! Thiik your decision came at the right time and young people are ready to collect or take up 80 percent in each Hotel because they are being blamed of laziness we are not lazy but such opportunities have never been availed. We are people with good hearts and embrace all. 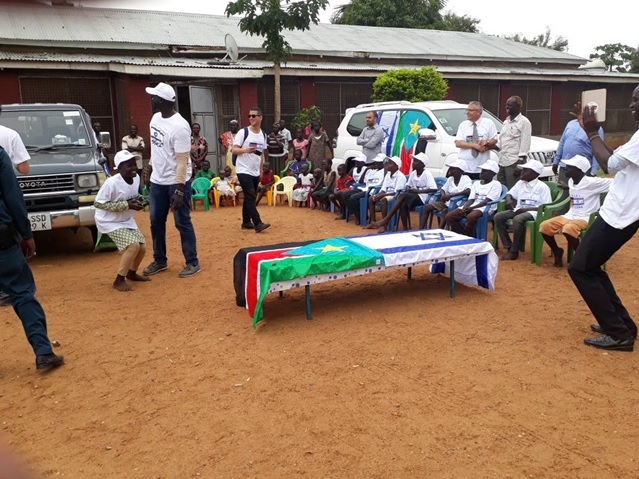 Jubek State is home to all South Sudanese and the seat of the national government; therefore it should be an exemplary to the rest of states by doing extraordinary works like what is being done by the City Council. This is one of the latest policies to be issued by the City Council that will benefit our South Sudanese people. This is a good thing to be done and we are also hearing that water Tankers will be the next target to be regulated. We are the one to regulate policies and implement them. Nobody is going to come to our aid, only we to develop our country, only we to give opportunities to our young people. Let us encourage each other and develop and promote young people and also recognize their skills and give them space to work and earn their living.